Tom Maloney Biography | Connecticut Center for Advanced Technology, Inc.
Tom Maloney, Ph.D., serves as chief technology officer for CCAT. He is an executive-level professional with more than 25 years experience in advanced manufacturing and alternative energy technologies for commercial, aerospace, and military applications. He is CCAT’s principal investigator for Department of Defense-sponsored applied research in metal additive manufacturing, metrology, and machining of advanced materials. Maloney also served as principal investigator for the $75M multi-state National Aerospace Leadership Initiative for developing advanced manufacturing technologies as well as the $20M DoD alternative fuels effort for deriving clean liquid fuels from biomass, coal, and renewable waste feed sources. Prior to CCAT, his experience includes development of space power systems at NASA Glenn Research Center, hydrogen fueling leader for Proton Onsite, and UTC Power’s technical leader to develop a 300kW Fuel Cell Powerplant for the Spanish Navy S-80 submarine. 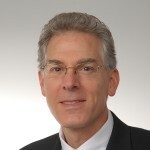 Maloney was also a visiting researcher at the Argonne National Laboratory and he served as a visiting faculty member at Cleveland State University and at University of Connecticut. Maloney earned a bachelor's degree in chemical engineering from The Ohio State University and master's and doctorate degrees in chemical engineering from Cleveland State University.